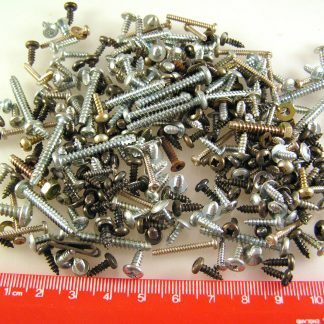 Please note these are just the wall plugs, cable clips are not included, they are for illustration purposes only. 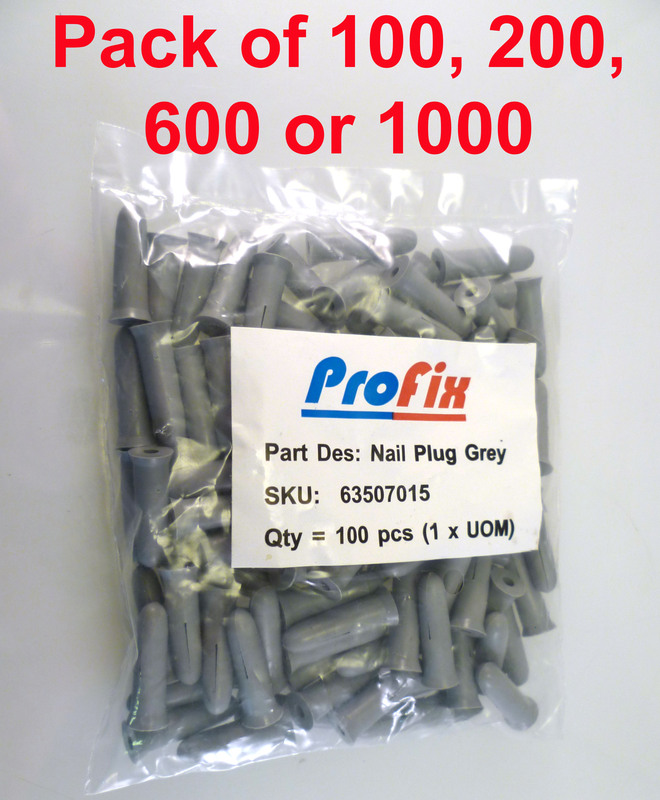 For use with cable clip pins or other small hardened nails. 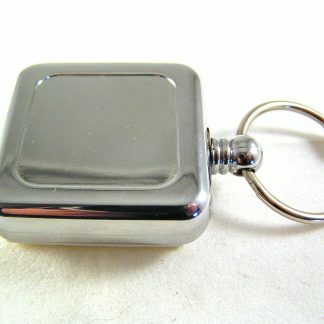 For a selection of cable clips see our shop. 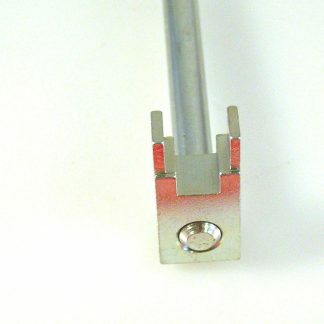 A solution to fixing cable clips to both Hard masonry and very soft Aercrete blocks! 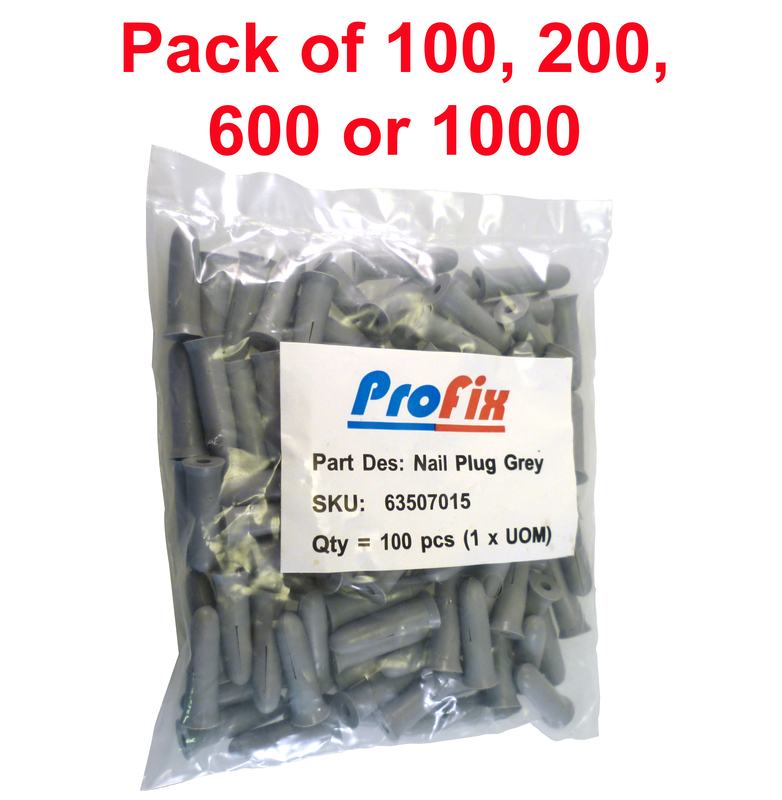 These special Profix nail plugs are made from high impact polystyrene. Used for fixing cable clip pins or similar small nails into very hard masonry/concrete. 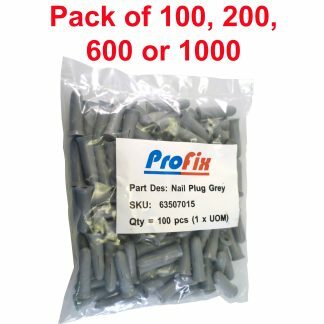 Also for very soft building materials such as lightweight low density soft aercrete blocks and thicker plaster board (20mm at least) etc. 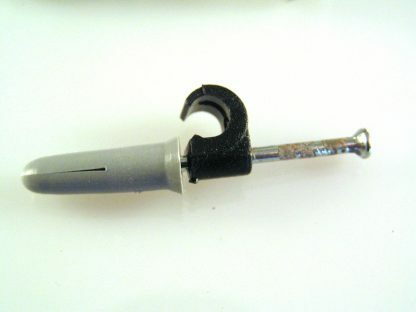 In hard or brittle substrates drill a 5.5mm hole 20mm deep, push the nail plug into the hole and tap it fully home. 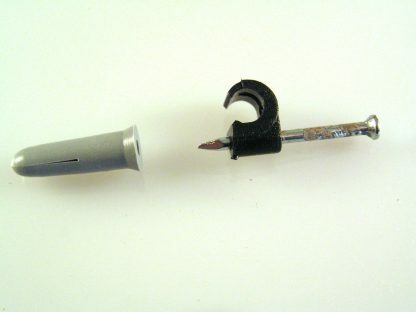 Then simply hammer the nail in to the centre of the nail plug. 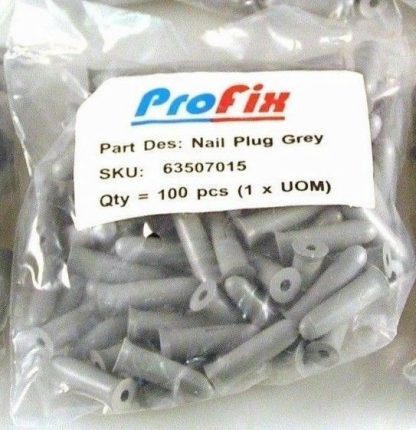 In softer substrates, drill a slightly smaller 5mm hole and continue as above with the harder materials. 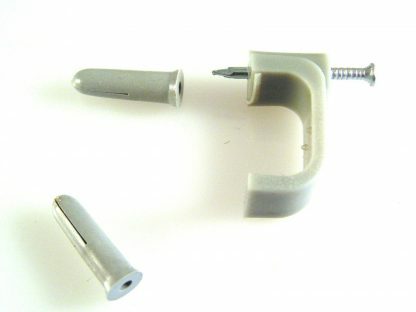 In very soft aerated substrates such as aercrete blocks – a 5mm hole can be drilled – or it is often possible to hammer the nail plug directly into the block without pre drilling. Hold the nail plug between finger and thumb and gently hammer home.